Council for the Advancement of Forensic Genealogy is pleased to announce a special guest presenter at the 2014 Forensic Genealogy Institute. 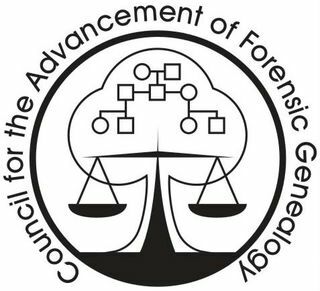 James J. Canik, Deputy Director, Armed Forces DNA Identification Laboratory (AFDIL), Armed Forces Medical Examiner System, will present two sessions during the Advanced Track, immediately following Forensic Techniques for Genetic Genealogy by Debbie Parker Wayne, CG (sm). Mr. Canik's sessions offer an extremely rare opportunity for genealogists to see detailed operations of our country's military repatriation program. These presentations are generally reserved for the Defense POW/Missing Personnel Office (DPMO) Family Updates. The Family Updates are only open to family members of unaccounted-for service personnel and invited guests. The general public is unable to attend. This presentation may well be a once in a life time opportunity for most professional genealogists. These presentations are not offered at other forensic genealogy educational events. A limited number of seats remain for the Advanced Track. Attendees of the Advanced Track must have completed at least one of the Foundations in Forensic Genealogy tracks. Special week-long packages are available for this year's Foundations and Advanced. Registration is available at http://www.forensicgenealogists.org/forensic-genealogy-institute.html. I was excited to hear today about a new option for those interested in the growing field of DNA and genetic genealogy. Dr. Tim Janzen and CeCe Moore have formed an Institute for Genetic Genealogy which will be sponsoring an International Genetic Genealogy Conference. The conference will be held August 16 and 17, 2014 at the National 4-H Youth Conference Center in Washington, D. C.
You will not want to miss this opportunity to learn more about genetic genealogy. 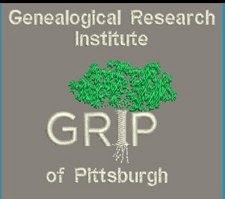 Get ready to watch the clock for Noon on Wednesday as registration for the Genealogy Research Institute of Pittsburgh (GRIP) will begin. There are courses that will be very popular, so you may have to be fast to get a seat. GRIP registration will open on Wednesday, February 12th at Noon Eastern for the six courses in Pittsburgh from Sunday July 20 – Friday July 25. There will be a second registration on Tuesday, February 25th at Noon Eastern for the four August courses in Orchard Lake, Michigan. You may want to look at the Tips for Quickly Getting Through Registration prepared by Elissa Scalise Powell, CG, CGL and Deborah Litchner Deal, the directors of GRIP. With the lineup of new course and excellent instructors, the institute is sure to sell out. Coordinators: J. Mark Lowe, CG, FUGA and Debbie A. Abbott, Ph.D.
Discovering evidence of African American families can be difficult and sometimes impossible. Learn to follow proven strategies to gather and analyze a variety of record types while building upon strong foundations. We will use a framework of five cases to illustrate how to apply the evidence in each particular case. Records will require hands-on project discovery time. Through lecture, discussions, and many hands-on activities, students will learn how to achieve genealogical proof by planning and executing focused research, citing the resulting sources, testing the evidence they contain, assembling that evidence into a conclusion, and explaining it clearly. This course is based on the content of Mastering Genealogical Proof (Arlington, Va.: National Genealogical Society, 2013) and uses exercises from that textbook. Family historians of various skill levels may find this course helpful. Explore the online world of records and repositories by efficiently being able to search for them. Learn the methods and tools to overcome database index challenges and find information on your family that is hidden in layers of webpages. Mornings feature “Expert Insider Tricks,” featuring a professional genealogist’s personal tricks for making the most from a subscription website, while afternoons include in-depth discussions and hands-on learning. Instructors CeCe Moore and Blaine Bettinger, Ph.D., J.D. From the basics of genetic genealogy to advanced autosomal analysis to the integration of DNA into projects meeting the Genealogical Proof Standard, this course covers all aspects of DNA testing and the use of DNA in genealogical research. From Freshman Orientation to Graduation, Law School for Genealogists covers the waterfront as to the elements of the law that directly impact genealogical research: the legal systems underlying the records; the court systems; record series resulting from the legislative and judicial process; and topical treatments of the law of wills and estates, property, marriage, divorce, military service, immigration and naturalization and more. ARLINGTON, VA, 5 FEBRUARY 2014: The National Genealogical Society proudly announces the release of its newest American Genealogical Studies course, Guide to Documentation and Source Citation. This NGS American Genealogical Studies course, Guide to Documentation and Source Citation, is available for $30.00 for members and $45.00 for non-members. 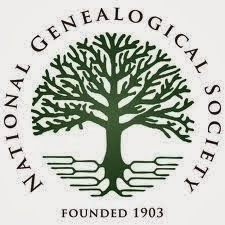 For further information, to view the syllabus, or to purchase the course, visit the NGS website at http://www.ngsgenealogy.org/cs/guide_documentation_sourcecitation. Guide to Documentation and Source Citation joins The Basics in the NGS’s online cloud-based learning management system. To take advantage of this system, you will need either a computer or tablet with an Internet connection.